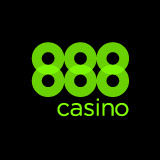 888poker Flopomania Poker will be released in the upcoming weeks, players were able to see and play the game prior to launch as it was available in the lobby by technical error. 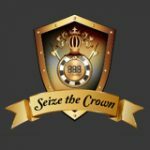 On the 2nd of August the Flopomania Poker game was visible to players in the lobby, some players were able to play the game until it was removed by 888poker. The new format has no pre-flop actions with antes paid by all players, after the flop play continues like regular NL holdem games. 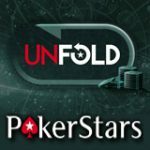 Expect more action in this game as all players seated at the table will see the flop, this will make things really interesting as there is no re-flop folding. 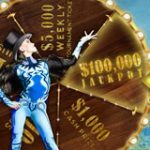 888poker released a statement on Twitter apologizing for the early release of the game which was still in development stages and was not meant to be seen until the launch. 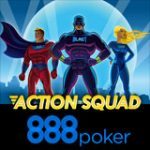 The new 888poker Flopomania Poker game was playable for a very limited time in the lobby when it became visible to players due to a technical error. It might have killed the surprise of the launch of the game but in some ways it has created a hype for players eager to play the new format when in launches in the upcoming weeks. 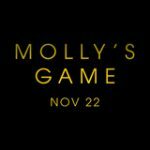 What we do know about the game is that it will be filled with action as every player seated at the table will pay an ante and see the flop. This makes the game difficult to read other players and what cards they have been dealt. Normally in NL Holdem, players only see the flop with decent starting hands and pre-flop raises prevent players with rag hands from seeing the flop. Expect more action and the possibility that your pocket aces may get cracked by 2-7 off suit. 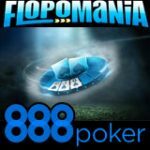 888poker recently experienced a technical incident, which resulted in the accidental release of our new game called “Flopomania”. It took us all by surprise as the game is in final testing. This highly anticipated game will be ready to launch in the upcoming weeks. We will make sure to take all measures needed to prevent any re-occurrence of such incidents in the future.